Transfer balances from your other cards and enjoy light and flexible payment terms! Enjoy as low as 0.89% monthly interest rate for up to 36 months installment term. Call 888-1-888 and apply now! Balance Transfer is a facility of RCBC Bankard credit card brands (excluding RCBC Bankard Dollar, Union Pay and Corporate Cards) that allows cardholders in good credit standing and upon RCBC Bankard’s approval, to transfer their outstanding balances from their non-RCBC Bankard credit card/s to their RCBC Bankard credit card and pay in easyterms of 3, 6, 9, 12, 18, 24, and 36 months based on the current Balance Transfer interest rates. Note: Submission of SOA must be done within 24 hours from the time that the Balance Transfer application has been made. Failure to submit the requirements within the prescribed period will void the Balance Transfer request. The due date for settlement of the outstanding balance of the non-RCBC Bankard card must be at least seven (7) working days from the time of application. The loanable amount for Balance Transfer will be based on the cardholder’s available Credit Limit (but not to exceed 90% of available credit limit). The cardholder has the option to request for several Balance Transfer/s of outstanding balances from other local non-RCBC Bankard credit cards as long as the total loanable amount is still within 90% of the cardholder’s available credit limit. RCBC Bankard reserves the right to approve or reject applications for Balance Transfer and has no obligation to disclose reasons for the rejection or disapproval of balance transfer requests. If the Cardholder has no sufficient credit limit, RCBC Bankard has the sole discretion to approve only a portion of the amount applied for. The cardholder shall be responsible in following up the status of his/her balance transfer application. 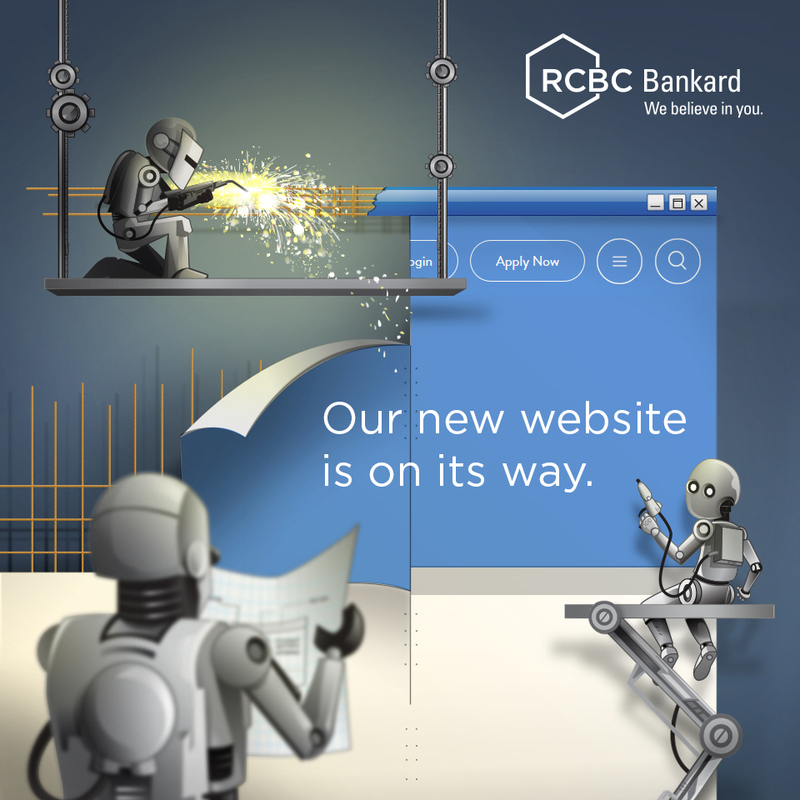 Upon approval of the Balance Transfer application, RCBC Bankard will deposit the check payment directly to the issuer of the non-RCBC Bankard credit card. An SMS alert will be sent to the cardholder confirming that his/her Balance Transfer has been approved and that RCBC Bankard has paid for the outstanding balance of his non-RCBC Bankard card. A Balance Transfer application can no longer be cancelled once approved. In cases where the balance transfer request is disapproved, RCBC Bankard is not required to notify the cardholder. RCBC Bankard shall not be liable for interest, or any over-payment, or for late payment, or other finance charge that the cardholder may incur as a result of the disapproval of the Balance Transfer application and of failure or delay by RCBC Bankard in making payment before the due date of his/her non-RCBC Bankard credit card. The approved Balance Transfer amount is automatically deducted from the cardholder’s available credit limit. The approved Balance Transfer loan amount will automatically be posted on cardholder’s Statement of Account (SOA) at the nearest cut-off following the crediting of Balance Transfer loan proceeds to the issuer of the non-RCBC Bankard credit card. The computation of interest and principal components of the monthly installment shall be on a diminishing basis, and the interest and principal portions will not be equal from month to month. If the cardholder decides to pre-terminate or pay the Balance Transfer installment plan in full before maturity, a pre-termination fee of Php 500.00 or 5% of the unpaid principal amount, whichever is higher will be charged. In cases of suspension, cancellation and/or non-renewal of the RCBC Bankard Credit Card due to non-payment or breach of any of the Terms and Conditions Governing the Issuance and Use of RCBC Bankard Credit Cards shall automatically render all the outstanding obligations of the cardholder under the RCBC Bankard Balance Transfer Program due and demandable without need of prior notice. Monthly interest rate, late payment penalty and other charges to be applied by the Balance Transfer facility shall be determined by RCBC Bankard. The abovementioned terms and conditions for the implementation of the RCBC Bankard Balance Transfer facility may be amended and supplemented by RCBC Bankard from time to time, as may be deemed necessary without prior notice to, and without need of Cardholder’s consent.